If you have ever had a soft tissue injury, then you know all too well how crippling and devastating they can be. Here at Hanson Chiropractic, we use the revolutionary Graston Technique® to successfully treat your injury and get you back to feeling 100 percent. What’s great about the technique is that it can be used on a variety of soft tissue conditions, such as intense, post-surgical, and pervasive. No matter the issue, chances are good that the Graston Technique can help you feel like yourself again. The technique specifically targets fascial restrictions and scar tissue in order to restore the patient’s full range of motion. One thing we like to inform our patients of is the fact that GT is non-invasive, which means no needles or other medical instruments that have to be inserted into the body. In order to further pinpoint the areas of the body that require attention, the technique utilizes special stainless steel instruments. 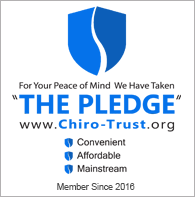 While undergoing the Graston Technique, your chiropractor is able to penetrate deep into the tissues to administer your treatment. The method is both effective and easy on the patient, and the effects can be compounded when the technique is combined with other modalities. As the stainless steel instruments glide over your body and the adhesions, your fascial restrictions and scar tissue are dissolved. This is done until all of the adhered fibers have been taken care of or at least minimized. Once the treatment is fully completed, you’ll experience minimized pain and an improved range of motion. Now that you have a better idea of how the Graston Technique works, it’s easy to learn of the many benefits the technique affords over other treatment options for restoring functioning tissue. One of the absolute best things about the Graston Technique is that your treatment time is greatly reduced, usually to two weekly treatments for four to five weeks. This means that you can get back to your life faster than you would with other soft tissue-repairing techniques. Another great result is that you won’t have to rely as much on anti-inflammatory pharmaceuticals, which can cost a lot of money in the long haul. Additionally, you might finally experience relief from persistent conditions that were once thought to be permanent. Come see why athletes and regular patients alike prefer the Graston Technique. Hanson Chiropractic is here to answer any questions you might have, and we can schedule you an appointment if you’re ready to experience a pain-free life with a complete range of motion. Whenever you’re ready, you’re more than welcome to contact us or give us a call at 425-355-3739. I have been having graston on my hand and the treatments have eased my pain and given me more mobility in that area.